I was saddened to hear the news that acclaimed artist LeRoy Neiman passed away yesterday. He was truly an amazing artist with a style all his own that is often copied today. 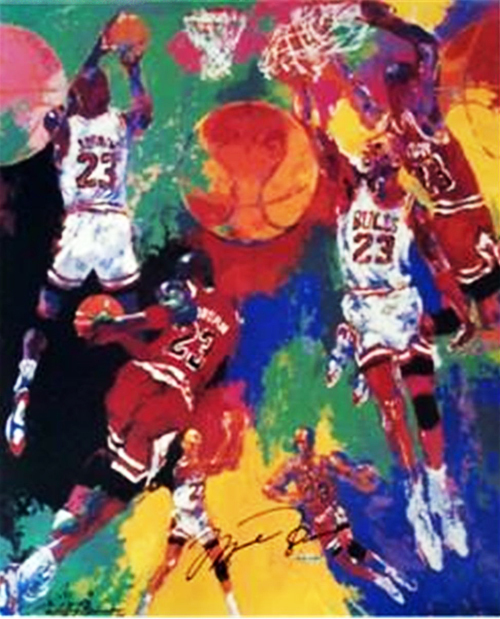 Upper Deck Authenticated had the privilege of partnering with Neiman on a piece that was signed by the artist and Michael Jordan in the ‘90’s. The piece turned out beautifully and now becomes and even more collectible item with Neiman’s passing. UDA partnered with LeRoy on a unique piece with Michael Jordan that both signed. Neiman definitely lived a full life having been the official painter for five Olympiads and painted countless classic sports moments. 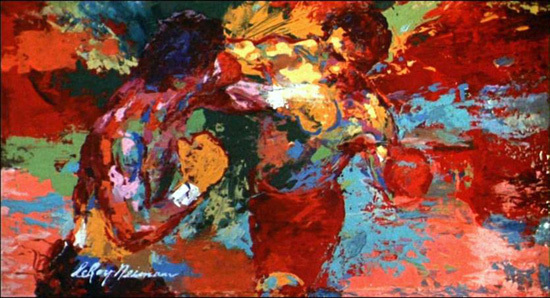 One of my personal favorite pieces of Neiman was shown at the end of Rocky III where Rocky Balboa and Apollo Creed square off in a private rematch. Farewell LeRoy, you will be missed! Summer Blockbuster Alert: 2018 Fleer Ultra X-Men is Coming to a Card Shop Near You!